Visit the Broncos' official website for your daily fix of team information. Chris Harris' standoff with the Broncos is coming to a head. 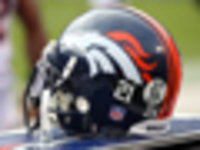 The cornerback has requested either a new record contract from the Broncos or a trade out of town, per NFL Network's James Palmer. Broncos coach Vic Fangio told reporters on Thursday that former Texans cornerback Kareem Jackson has been playing safety so far during Denver's offseason program. The Denver Broncos hold the No. 10 overall pick in the 2019 NFL Draft. If they choose to use it on a QB, Joe Flacco says he 's fazed because of his experience last year in Baltimore. Denver Broncos cornerback Chris Harris has made it clear he wants a new contract and will be exercising his option to skip the team's voluntary veteran minicamp, which begins Tuesday. The only stain on Phillip Lindsay's rookie season in Denver was the broken wrist he suffered in Week 16, but the Broncos leading rusher aims to prove himself again in 2019 once fully recovered. Broncos outside linebacker Von Miller says he's packed on close to 10 pounds since the conclusion of the 2018 season. Miller says he "can go just a little bit further" with more weight on his frame. Broncos cornerback Chris Harris skipped the first day of offseason workouts on Tuesday, NFL Network's James Palmer reported, as the standout DB looks for a new, bigger deal. With a first-year coach on board, the Denver Broncos will become the fourth NFL squad to start offseason workouts today; following the Browns, Dolphins and Bucs. 4/18 Craig Mager (CB) Terminated, Vested Veteran, all contracts (terminated, vested veteran, all contracts). 4/18 Jake Brendel (C) Free Agent Signing (free agent signing). 4/18 Trey Johnson (CB) Free Agent Signing (free agent signing). 4/8 DeVante Bausby (CB) Free Agent Signing (free agent signing). Vance Joseph enters his first season with the Denver Broncos after being named the 16th head coach in franchise history on Jan. 11, 2017. Joseph joined the Broncos after spending the 2016 season as defensive coordinator for the Miami Dolphins. Known for his outstanding leadership qualities and strong vision for success, Joseph, 44, has coached for 18 seasons at the pro and college levels following his two-year NFL playing career as a defensive back. Joseph has spent more than a decade of his football life in the state of Colorado. In addition to competing with the Broncos as a defensive back during the 1997 preseason, Joseph played quarterback at the University of Colorado from 1990-94 and coached another five seasons at his alma mater from 1999-2003. During his NFL career, Joseph has coached defensively for Miami (2016), Cincinnati (2014-15), Houston (2011-13) and San Francisco (2005-10). His teams have advanced to the postseason in five of the last six years while capturing three division titles during that span. As defensive coordinator for Miami in 2016, Joseph oversaw a defense that played a key role in the Dolphins returning to the playoffs for the first time in eight seasons. Despite having to use 13 different starting lineups due to injury, Joseph's defense ranked fourth in the NFL on third down (36.2%) while forcing the sixth-most negative plays (107) in the league. The Dolphins won nine of their final 11 regular-season games in 2016 with Joseph's defense accounting for the fourth-most takeaways (21) in the NFL during that stretch. The Dolphins' two Pro Bowl selections came on the defensive side with defensive linemen Ndamukong Suh and Cameron Wake each having resurgent seasons under Joseph. Wake, a Comeback Player of the Year candidate, totaled a team-best 11.5 sacks to represent the 13th most in NFL history by a player 34 years of age or older. Joseph spent the 2014-15 seasons as Cincinnati's defensive backs coach under Head Coach Marvin Lewis, guiding a unit that contributed to a league-best 41 interceptions during that span. The Bengals were the only team to post more interceptions than touchdowns allowed (36) during that two-year stretch while holding opposing quarterbacks to the lowest combined passer rating (77.4) in the NFL. Two veteran members of the Bengals' secondary made their first career Pro Bowls in 2015â€”cornerback Adam Jones and safety Reggie Nelsonâ€”as Cincinnati tied a team record for regular-season wins (12) and finished first in the AFC North Division. Joseph coached defensive backs for three seasons (2011-13) in Houston under Head Coach Gary Kubiak. The Texans won back-to-back AFC South Division crowns from 2011-12 and finished in the Top 7 in total defense in each of Joseph's three seasons with the club. A bright spot during Houston's 2013 campaign was its third-ranked pass defense that yielded less than 200 yards per game (195.2) for the second time in team history and allowed the second-fewest passing first downs (158) in the league. Joseph also assumed defensive play-calling duties for the last three games of the season when Defensive Coordinator Wade Phillips was named interim head coach. In 2012, Houston led the NFL with 118 passes defensed and set a team record with three interception returns for touchdowns en route to a franchise-record 12 regular-season wins and a second consecutive division title. Cornerback Jonathan Joseph earned his second consecutive Pro Bowl selection after allowing just 52 receptions on 96 targets, and former first-round pick Kareem Jackson led the team with a career-best four interceptions and 17 passes defensed. In Houston's 19-13 win against Cincinnati in the AFC Wild Card Round, Joseph's secondary recorded eight passes defensed and held Bengals quarterback Andy Dalton to 14-of-30 passing (46.7%) with one interception (44.7 rtg.). Inheriting a Houston secondary that was part of the NFL's worst defensive unit in 2010, Joseph helped guide a drastic turnaround in 2011 that saw the Texans finish second in total defense (285.7 ypg). Houston's No. 3 pass defense (189.7 ypg) was first in the NFL in opponent completion percentage (51.9) while finishing second in the NFL in yards per attempt (6.2) and opponent passer rating (68.8). Five different defensive backs posted multiple interceptions for the Texans in 2011, including Johnathan Joseph, who earned second-team Associated Press All-Pro honors and his first career Pro Bowl nod in his initial season with Houston. The Texans earned the first division title and postseason berth in franchise history in 2011. Their historic season was punctuated with a three-interception effort against Dalton and the Bengals in a 31-10 AFC Wild Card win. Joseph's first NFL coaching experience came with San Francisco, where he was hired as assistant defensive backs coach in 2005 before serving as defensive backs coach from 2006-10. In Joseph's final season with the 49ers in 2010, he served as sole coach of the secondary with the departure of Johnnie Lynn. San Francisco ranked among the best red zone teams in the NFL, finishing second in yards per play (2.2) inside their own 20. The 49ers' secondary also accounted for two of the team's five non-offensive touchdowns by returning a pair of interceptions for scores. San Francisco finished fourth in scoring defense (17.6 ppg) in 2009, holding opponents to 10 points or less in seven contests and holding five teams without a touchdown. Safety Dashon Goldson (4 INTs, 3 FF) had a hand in seven of the 49ers' 33 takeaways that represented the fifth most by an NFL team. In 2008, the 49ers gave up the fewest 20+yard pass plays (41) in the NFC while ranking third in the conference in opponent red zone percentage (48.1). The pass defense improved steadily throughout the season and finished out the year allowing just 177.4 yards per game through the air over the last five games to rank third in the NFL during that span. Joseph's secondary unit contributed to significant defensive upgrades across key statistical categories in 2007, improving 10 or more spots in scoring defense (22.8 ppg, 20th), opponent third-down percentage (40.2 pct., 19th) and opponent red zone percentage (47.2, 6th). Cornerback Nate Clements was selected as the co-winner of the 49ers' Bill Walsh Award as the team's MVP in his first year with the club after totaling a team-best four interceptions, 14 passes defensed and three forced fumbles. In his first season as defensive backs coach in 2006, Joseph coached 11th-year cornerback Walt Harris to his first career Pro Bowl honor. Harris recorded eight of the team's 14 interceptions in addition to recording 63 tackles (52 solo) and 20 passes defensed. Joseph entered the NFL coaching ranks as assistant defensive backs coach for the 49ers in 2005, following a season coaching the secondary at Bowling Green State University, where he helped the Falcons to a 9-3 record, a top-25 ranking and a victory in the GMAC Bowl. He began his coaching career at CU under Head Coach Gary Barnett in December 1999 as a graduate assistant. He served in that capacity through the 2001 season that culminated with the Buffs' Big 12 Championship and Fiesta Bowl appearance. Joseph accepted a position coaching defensive backs at the University of Wyoming during the Spring of 2002 before returning to CU in the same capacity beginning that fall. The youngest full-time coach at Colorado at the time of his hire, Joseph worked with CU's secondary for two seasons before moving on to Bowling Green. A three-year letterwinner as a quarterback at CU from 1990-94, Joseph saw action in 30 games for the Buffs as a backup to All-Americans Darian Hagan and Kordell Stewart. Also a running back and special-teams standout for CU, he completed 34-of-61 passes (55.7%) for 454 yards with four touchdowns in addition to rushing 50 times for 237 yards (4.7 avg.) with one touchdown during his collegiate career. After signing with the New York Jets as a college free agent in 1995, Joseph converted to cornerback and started 6-of-13 games played as a rookie, totaling 21 tackles (17 solo), two interceptions (39 yds.) and five passes defensed. He played four more games with Indianapolis in 1996 before competing with Denver during the 1997 preseason. The Marrero, La., native starred at Archbishop Shaw High School, where he led his team to a 37-6 record in his three seasons as the starting quarterback and won Louisiana's 4A state championship as a sophomore. He garnered USA Today honorable-mention All-America honors as a senior and also lettered all four seasons in basketball. Born on Sept. 20, 1972, Joseph and his wife, Holly, have a daughter, Nataly, and a son, Stone. Josephâ€™s older brother, Mickey, a former quarterback at the University of Nebraska (1988-91), is currently the running backs coach at Louisiana Tech University.